Vogue Istanbul located on the top floor of Besiktas Plaza, is one of the most favourite restaurant & bar in Istanbul since the day it was opened in June 1997. Vogue Restaurant & Bar is one of the best and most convenient meeting point in Istanbul with its wide selection of delicious menu, immaculate service, and central location. 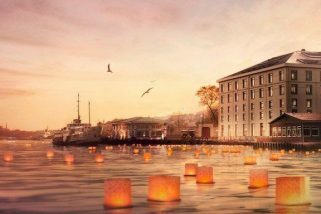 The “Zagat Survey”, which determines the World’s bests in the “food and beverage” sector for 23 years, selected Vogue as “one of the best restaurants” in Istanbul. 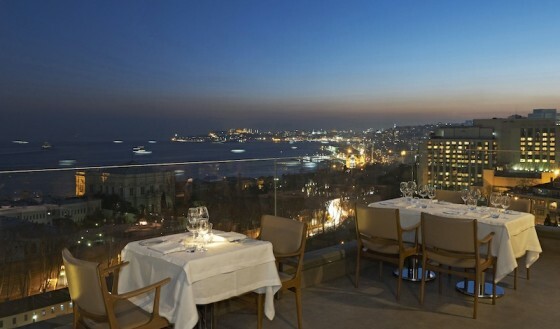 Vogue was also awarded as “the best restaurant” in 2002 TimeOut Istanbul / Miller Food and Beverage Rewards. 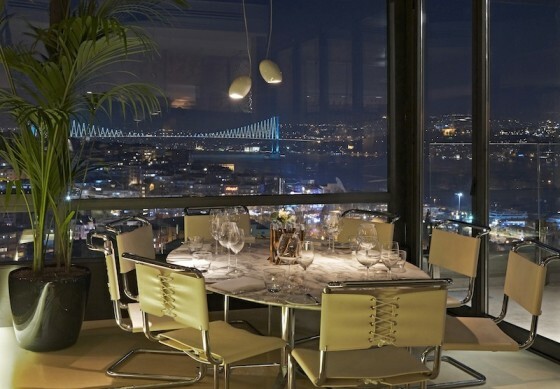 It is a great pleasure to eat in the distinguished environment of Vogue surrounded with the Bosphorus view. The sushi bar with its wide selection alternatives and tastes is the most preferred in Istanbul. The Chef presents selections from the World and Mediterranean cuisines with appetizing and delicious dishes. Besides its unique wine list, the restaurant also offers an extensive selection of selective cigars. Vogue Restaurant & Bar, has a capacity of seat 150 people in winter and 240 persons in summer (3 terraces, one used as a bar, two as restaurant). The restaurant is open from 12:00 till 15:00 for lunch and from 19:00 till 02:00 for dinner & bar. An open buffet breakfast is also available from 10:30 till 16:00 on Sundays. The buffet offers a selection of Turkish cheese, jams, meat, olives, bread, and a menu of traditional Turkish and International breakfast alternatives. DJs play live music everynight and Thursday nights are especially happening and full of action. All credit cards are valid, valet parking service is available.